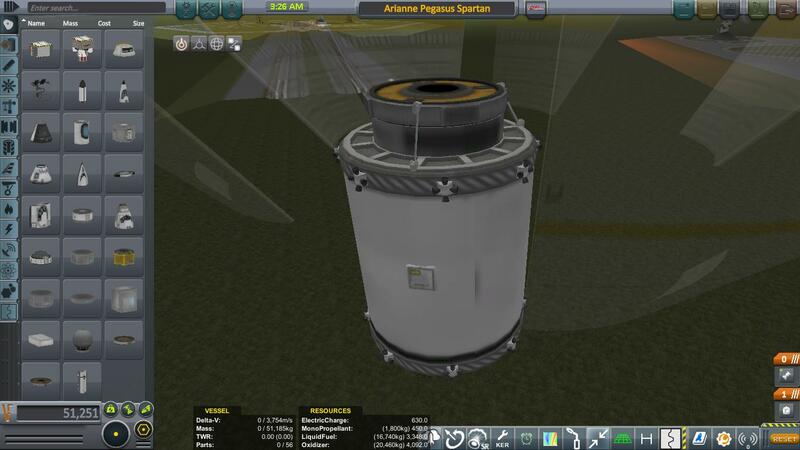 A second stage vehicle meant for Kerbin, Mun or Minmus. It can lift over 30T. 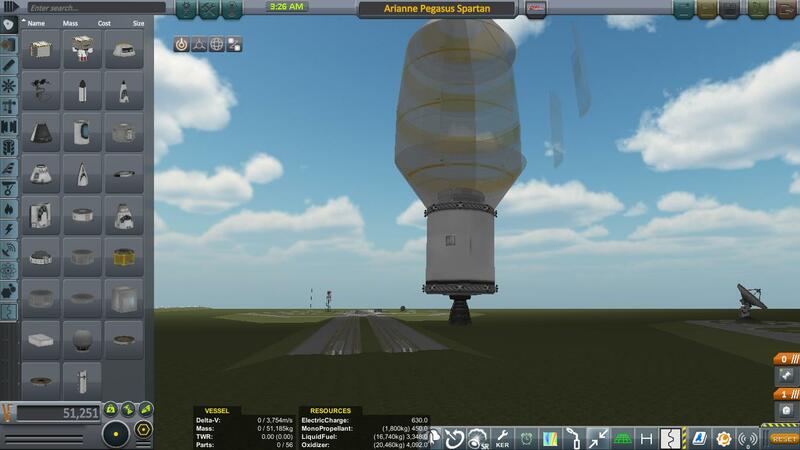 A mod rocket called Arianne Pegasus Spartan. Built with 56 of the finest parts, its root part is probeStackLarge.